April 19, 2016, Ottawa – Growth in Canada’s clean technology industry has stalled and needs greater support from all levels of government and private sector to stimulate and help finance the deployment of commercialized clean technology innovation in order to succeed according to Analytica Advisors’ 2016 Canadian Clean Technology Industry Report. The report showed clean technology is now worth nearly $12 billion to the Canadian economy and created an additional 5,000 jobs in 2014 – up from 50,000 the year before. After bucking the trend and growing at four times the rate of the overall Canadian economy, the clean technology industry is facing its first slowdown in six years according to the Analytica Advisors report which indicated a decline in year over year industry revenues in 2014. Without the right support, the industry could lose an opportunity to play a key role in the global race to fight climate change and help Canada meet its 2020 Paris commitments. Canadian clean technology companies, many of which have benefitted from federal and provincial government innovation policies and funding, also risk becoming takeover targets of foreign-owned businesses that could benefit from that investment and the subsequent economic growth. Clean technology exports are also suffering. According to the report, Canada increased clean technology goods exports by $3 billion over the past decade but Canada’s ranking among top global exporters dropped from 14th in 2005 to 19th in 2014. In contrast, the global market for clean technology goods has doubled from $550 billion to $1.1 trillion over the same time period. The report showed that Canada is the world’s second greatest loser of market share (2.2 per cent to 1.3 per cent) in the clean technology sector since 2005, with only Japan faring worse. Canada’s performance in energy related clean technology exports suffered the biggest loss at 39 percent of its market share, more than any other country in the top 25. Water-related clean technology exports showed a similar decline and Canada is second from last after France. The report showed the U.S., Europe and China are the top three countries for Canada’s clean technology exports, and that for the second year in a row, China secures third place, up from eighth in 2013. 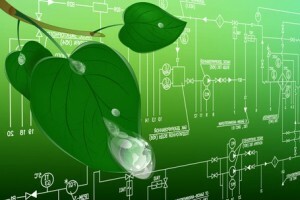 “Canadian clean technology firms have continued to demonstrate success in international markets. Stronger domestic markets will be required to sustain growth in global exports of clean innovations,” said Bak. Additional Background materials are available here. Analytica Advisors is an Ottawa-based company that monitors and reports on Canada’s and the world’s expanding clean technology sector through thought-leadership in evidence-based research. It is focused on translating evidence into policies and business practices for the good of society, the environment and the economy, in Canada and around the world.